hello guys, sorry for not updating for a long time, moreover very sorry for not making a new themes for a long time. Kinda busy on real world anyway. 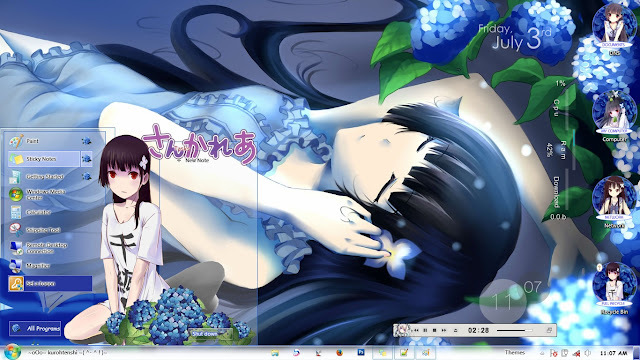 So this is my new theme, this time i make a new Anime themes, and its was Sankarea Anime. 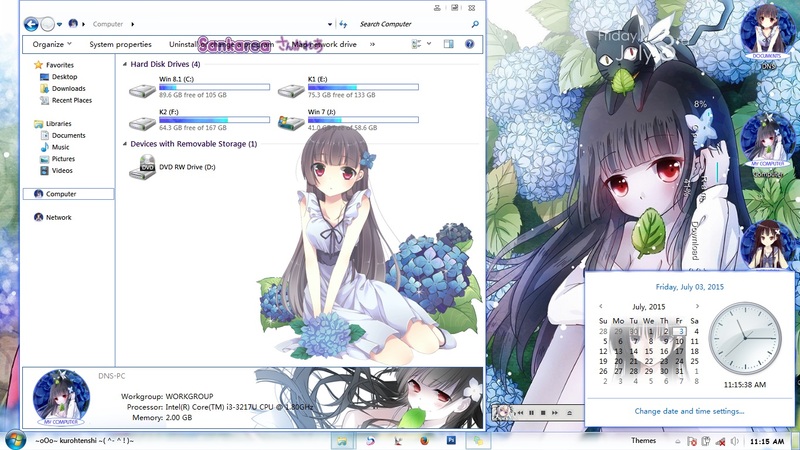 I use the character Sanka Rea from that anime. The screenshot above and under this is the start menu. This themes have 4 explorer background with Sanka Rea picture on it. 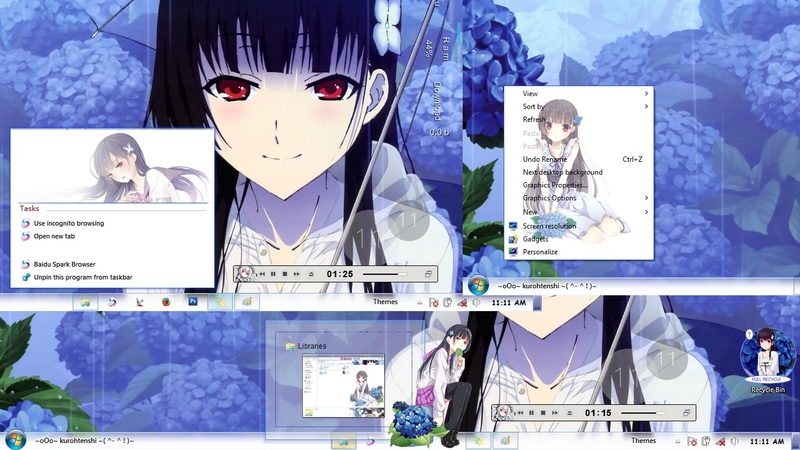 and has transparent effect 75% so you dont feel disturbing to look on the files and folders. 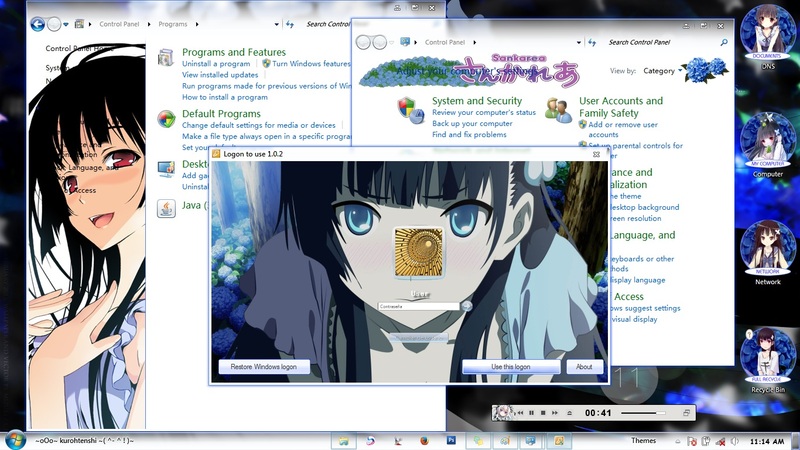 This is for the Jumplist, PopUp Menu, and the Taskband Peek. Some image with transparent effect too, so you can see the words. For the personalization i use Sanka Rea too, and the is an image on the Control Panel Home. 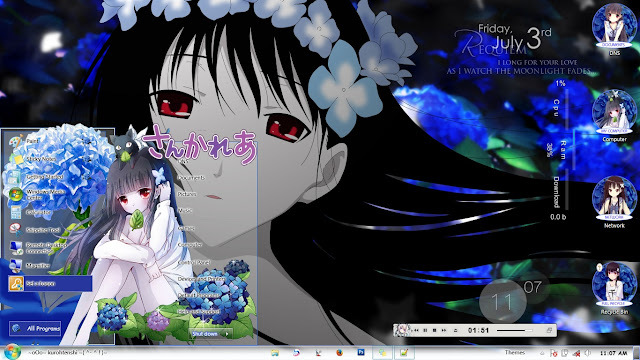 And the last is this theme has a logon, with Sanka Rea picture on it, of course. So... how to you think about this theme guys? Do you like it? feel free to leave your comment on this post. if you want to download this theme, the download link was here. See you next time. P.S. 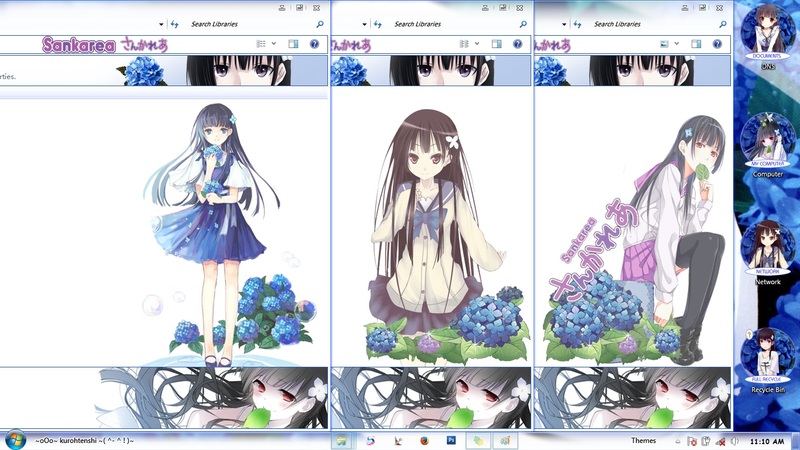 : if you want to share this theme, dont remove the adf.ly link that i created.